Start the year with a smile with CloudFone's first full HD tablet- the CloudPad 700FHD. The CloudPad 700FHD is the first octa-core tablet of CloudFone. It sports a true 1.7 GHz octacore chipset with the MT6592 combined the ARM Cortex‐A7 processor with the ARM Mali™ GPU and runs on Android 4.4 Kitkat. The new device has 1920x1080 full HD display for high definition viewing, enhanced with its IPS screen technology for accurate color reproduction across all viewing angles and precise touch response experience. When it comes to camera, the CloudPad 700FHD features 13MP rear camera with LED flash and 8MP front camera , which the best for selfies, video calling or just shooting a camera in a wonderful places. The new tablet comes along with 16 GB internal memory and has SIM slot, allowing users to call, text, connect to 3G network, and even use it as a WiFi hotspot! 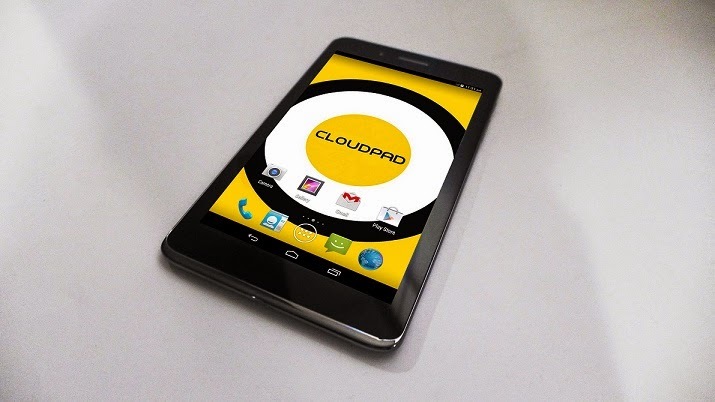 Gadget lovers can get CloudPad 700FHD at very reasonable price of Php 8,999.